This weekend was my first Air Guard drill weekend (I enlisted November 27), and my first Student Flight! Going in, I had no idea what to expect, but I made it through (it wasn't bad at all) and learned a few lessons because of it. If you're unfamiliar with the Air National Guard, once a month they have a UTA (Uniform Training Assembly) a.k.a. "drill weekend" where everyone is expected to come out and serve two workdays out in their unit. For me, my AFSC (job) is Personnel, so I am expected to go work two full days out in the Personnel office, performing whatever duties they need me to get done. Each unit has several full-time staff (either AGR or Technicians) and they are also there on these weekends. Since I haven't gone through Basic Military Training (BMT) or Tech School yet, drill weekends are optional. Since Daniel's out at the base, I figured I may as well go in, too—plus, I get paid to be there—so it's a total win/win. For those of us who have enlisted but haven't been through training, they have a program called Student Flight, which is intended to help prepare new airmen for BMT. Student Flight, in my opinion, is awesome. You sit in a classroom and receive instruction from several different people, and occasionally there are also BIT's (people who are on a "break in training" between BMT and Tech School) there who have recently gotten back from Basic Training and are there to answer any and all questions you may have. These Airmen are like gold because Basic is so fresh in their minds—so if you have a BIT who is willing to answer questions, give them all you've got! Over the past two days, I learned all about rank, pay grades, insignias, how to sit at attention and say the basic reporting statement, how to roll t-shirts, roll socks, fold towels, make a bed, march in formation, said "Sir" and "Ma'am" more times than I could count, and did push-up after push-up. My favorite part of Student Flight was the physical training, and next month we are expected to take the full PT test with the 1.5 mile run, push-ups, sit-ups and pull-ups. We didn't have a chance to do the PT test this time, due to the fact that Boise dumped several inches of snow on us this weekend, so instead we squatted and lunged our way through a P90X workout—which I still loved! Wear comfortable clothing! You will be doing push-ups and flutter kicks throughout the day in whatever you wear, so make sure you can move in it. I recommend (though it's not the most attractive combination, in my opinion) athletic shoes, jeans (without holes! ), a plain crew-neck t-shirt, and a belt to tuck it in. Typically, Student Flight will assign you with a t-shirt, but in the off chance that they don't have any on hand, make sure you're in a t-shirt that you can do push-ups in. Females need to wear their hair up, and men need to be clean-shaven and with a neat, short haircut. They're not a fan of shaggy 'do's. As far as PT gear goes, bring a t-shirt, shorts or pants (or capris for the women), your workout shoes (most people in my Student Flight wore their PT shoes all day) and extra cold-weather gear if you're going outside in the winter. Bring a notebook with paper for notes and a blue or black pen. As far as additional pointers, even though this isn't BMT yet, they want to get you ready for it so they will yell at you. They will make you do push-ups if you don't give the reporting statement correctly or back-talk the instructors—or for absolutely no reason whatsoever. They will test you and push you and challenge you—because they want you to be absolutely READY when you leave for Basic Training. Trust me, take the time while in Student Flight to learn and soak it all in. It's so much better to make a mistake right there where you can be corrected versus at BMT where an MTI (Military Training Instructor) will rip you to shreds. Overall, I had a wonderful experience this weekend at Student Flight. I learned so much and even made some new friends! I'm looking forward to next month (and probably several more after that) that I will be attending before I leave for Basic. I don't have dates quite yet, but I know it could be anytime between March (if I'm lucky) and August... so we'll see as it comes. Thanks for all your support in this new venture. It's such an honor to be able to serve our country with the Air National Guard! This is so awesome! As are you. Have a good week! Sounds like it was a great learning weekend and that you had fun! I had no idea you signed up! What a strong decision to make. 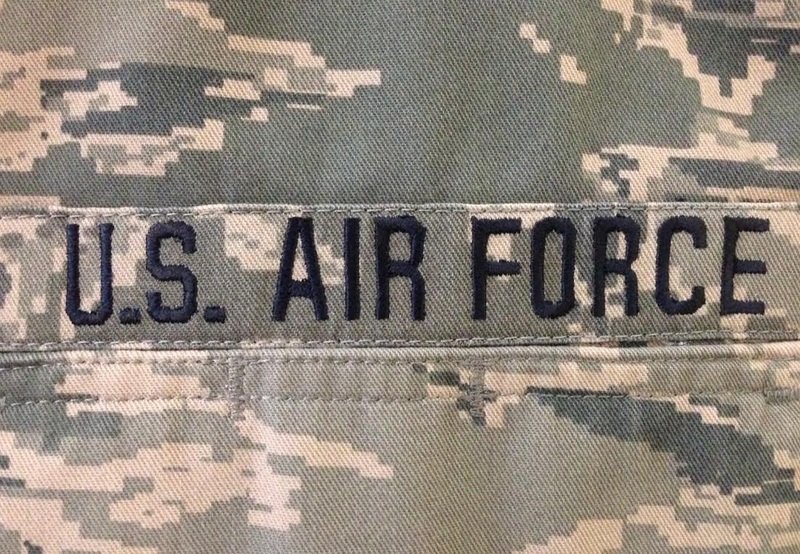 I considered joining the Air Force after I graduated from my second law degree and join JAG, but let's face it, I wouldn't survive for at least four years - even as an officer - as a full-time airman (rather, airWOMAN). I am intrigued by the physical challenges though, it'd be interesting to see how far I can actually push myself when I have to. I hope this journey will prove to be all you want it to be and you enjoy it more than you dislike it, as you will at times. Keep us posted, I'd love to be a part of every step of the way! xo. Glad your first drill weekend was a success!!! 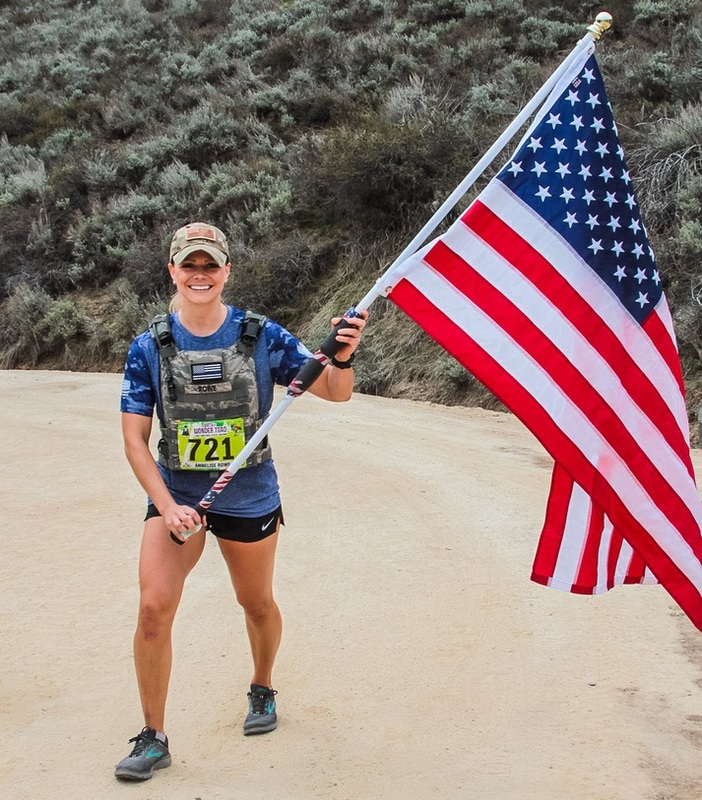 Sounds like you had a great experience - and you will totally rock the PT test! I doubt you have to worry about the PT test! Wow sounds like a really great experience Aunie. And I know you'll rock the PT test. Congrats on your first drill weekend! You are always so inspiring! Congrats love, I can not wait to hear more - I am sure you are going to KILL it! How exciting! I'm so happy that you get this experience between now and heading off to basic training. I'm sure the physical part is going to be easy for you! Congratulations on joining the world's greatest Air Force =] I love to read about your enthusiasm. I commissioned as an officer in 2012 and it's been quite the journey so far. Ah, you're sweet :) You're always so kind to me! Well I'm not cut out for a Spartan Challenge :) haha! We all have our strengths--hopefully this can be one of mine! I'm hoping so! There are three levels, Liberator (the basic passing one), the Thunderbolt (one level up), and the Warhawk. I'm just a sit-up and pull-up away from Warhawk, so that's my goal to maintain through training. Can't wait to do a Military Fitness post soon! 1000%!!! I heard it's pretty chilly right now, but darnit if March wouldn't be just wonderful. And ha... then I'd miss my 2nd busiest season at work! Win/win, right? Crossing my fingers for that! I'm planning to do a Military-inspired fitness post soon... can't wait to test myself to see my results! You're so sweet... thank you! I didn't share absolutely everything about the weekend, but I will say that I look forward to possibly stepping into some class leadership in the future. What a cool experience that would be! Crossing my fingers for that. The PT test will be a big challenge, but probably the most fun! Amy, I don't know if I'd say easy... but it's definitely good that I am starting on a good foot with it. I think the fun part is that there are three physical levels: Liberator, Thunderbolt and Warhawk (the highest standard). I'm going for Warhawk, but not only do I want to obtain it, but I want to surpass it. I'm totally challenging myself as much as I can... it's exciting! Looking forward to it - especially if you have a "how to train for pullups." Our fitness test is pushups, situps, and a two mile run so I've got those down but I want to get better at pullups. Oh sweet... what is your time limit for pushups & situps? The only difference is we run a mile and a half and you have two miles... what is your fitness test for? Oh, whoops! Army. We have two minutes of push-ups, two minutes of sit-ups, and the 2 mile run. That's so awesome ;) Wonder why ours is so different? We are only alotted one minute for pushups, situps and pullups. How strange! Well let me know if you have any questions! Of course I went through basic when it was only 6 weeks which was wow 8 years ago! I can't believe how fast time as gone by. I was Active Duty Air Force when I first joined the military and was at Kessler shortly after Hurricane Katrina, so the base was devastated. Still managed to have fun there for the short time I was there and then they sent me all the way to Japan where I met my hubby. And then here and I had the little guy and decided to separate and join the Air National Guard. I have to say it was the best decision of my life. My unit is amazing and kind and very understanding. Your going to do awesome in basic since the guard really does set their folks up for success. Basic is tough but once you walk the parade field you'll be amazed at how strong you really are. And San Antonio is so pretty!